The holidays are a dangerous time of year for our teeth. 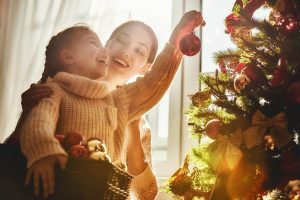 Not only are we surrounded by sugary sweets, but it can also be a stressful time of year when many of us are running low on time, and when that happens, selfcare (including dentalcare) is usually one of the first things to go. Here are three tips to help you make sure that doesn’t happen this year, and to help keep your smile bright during the holidays. Keep Up with Your Dental Appointments and Dental Hygiene. If you have dental appointments towards the end of the year, keep them. Don’t cancel in favor of cooking, cleaning, shopping, or holiday parties. Go see your dentist to make sure your holiday smile is at its best. Caroling while you brush your teeth can be a great way to incorporate the holiday spirit into your dentalcare routine. Experts recommend brushing your teeth for at least two minutes every day to make sure you’ve gotten all the hard-to-reach spots and given the fluoride in the toothpaste the time it needs to work its magic. Creating a playlist of some of your favorite songs to play while you brush your teeth can be a fun way to make sure you’re dedicating the time you need to your dentalcare. With all the holiday carols available this time of year, creating a holiday dentalcare playlist is a great way to make sure you’re taking proper care of your teeth while having fun. We know this is especially hard this time of year, but in some cases, you can have your cake and eat it too. While candy canes, toffee, and gummy candies are delicious, they’re almost pure sugar. Try to stick to things like dark chocolate that are low in sugar and actually contain some nutrients that can help you maintain strong, healthy teeth. Another benefit of dark chocolate is that it’s so satisfying, you can usually stop after a small piece without feeling deprived. It can be tempting, especially if you’ve just opened THE present you wanted to receive this year, and it’s sealed in one of those plastic containers that are impossible to open. We know how hard it can be to just rip into it with your teeth to get to it as soon as possible, but that’s never a good idea. You could end up hurting your jaw, breaking or chipping teeth, and/or swallowing something you shouldn’t. Keep a sharp knife or a good pair of scissors on hand to make sure you’re prepared for this eventuality so you can be sure to open your presents safely. But be careful if you have small children about. Keep sharp objects out of their reach and offer to open presents for them if you see them trying to open presents with their teeth. Children are not known for their patience, and most of the time they’ll use whatever tools are most readily at their disposal to get what they want. You should be as watchful and protective of their teeth as you are of your own – if not more so. Be especially mindful of what they’re doing with their teeth if they’ve already started to get their second set of teeth. They’ll have those for life and they need to learn the importance of taking care of them and how to go about doing so.